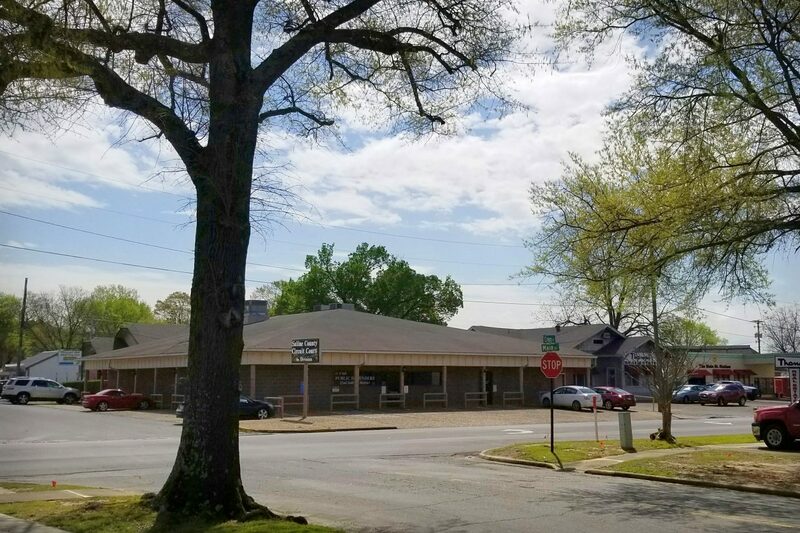 Photo of Saline County Circuit Court 4th Division Annex building at Main and Cross Streets – taken April 8, 2019 by Shelli Poole. Click image to enlarge. Saline County’s newest Circuit Court Division is celebrating ten years in existence this year – and their courtroom would open for business this month in 2009. 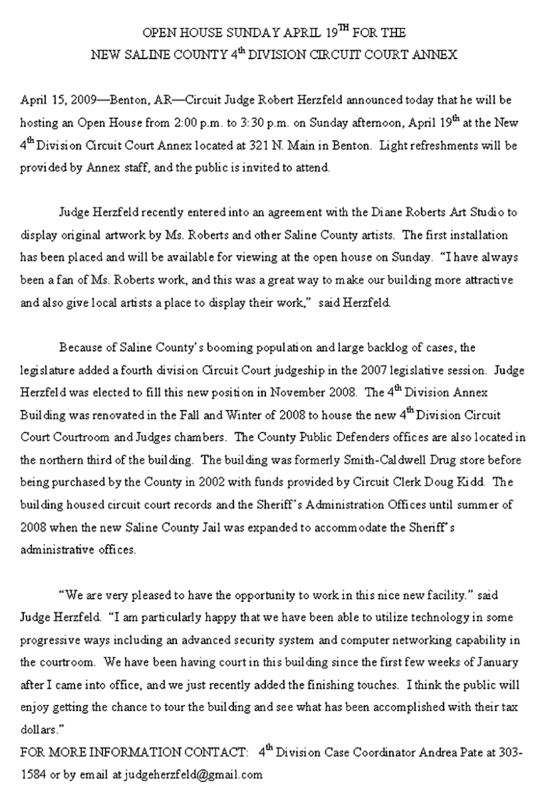 In searching through the MySaline archives, I found an old press release from Saline County Circuit Judge Robert Herzfeld. He was announcing an Open House to be held Sunday, April 19th, 2009 for the Saline County 4th Division Circuit Court Annex at 321 N. Main Street in Benton. Herzfeld stated that the Arkansas State Legislature added this Division due to “booming population” in Saline County leading to a “backlog of cases.” He campaigned for the new judgeship and won the election in November 2008. See video below from a political forum in 2008, hosted by MySaline. Herzfeld previously served as Benton City Attorney, Saline County Prosecuting Attorney and President of the Saline County Bar Association. Then-candidate for Saline County Circuit Judge, Robert Herzfeld speaks at MySaline event “Picnic & Politics,” on October 18, 2008. Video by Dewayne Allen. The building was not new construction, but was previously owned by Smith Caldwell Drug Store. It was purchased by the County in 2002 and housed Circuit Court records, as well as the Sheriff’s administration offices until they moved to their new space by the jail in 2008. The County renovated the building in the Fall and Winter of 2008-2009. It also houses the County Public Defender’s Office. The announcement also mentions that art works would be featured in the facility from Dianne Roberts Art Studio. In the announcement, Herzfeld is quoted as happy there would be “computer networking capability” in the courtroom. Technology has come a long way since ten years ago. Herzfeld stated yesterday that his staff estimates about 10,000 hearings and trials have come through his court since the opening. See original press release below (click image to enlarge).